Some of the biggest decisions you’ll make in your life involve the purchase, refinancing and/or remodeling of a home. That’s why it’s critical to work with someone who knows all the ins and outs, someone who will stand beside you through the entire process. 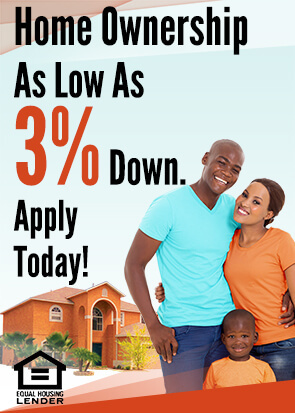 To speak with a Launch FCU Home Loan Specialist call 321-456-5439. Give us a call at 321-456-5439 or 800-662-5257 (outside Brevard) and find out when our team will be in your area. We look forward to helping you make your homeownership dreams come true. *Maximum 97% Loan-to-Value (LTV). Must be owner-occupied; primary residence or second home only. Purchase, refinance from another institution, or Home Equity Line of Credit included. Minimum loan amount $100,000; maximum loan amount $453,100. APR = Annual Percentage Rate. Example: for a $100,000 loan for a term of 30 years with an interest rate of 4.75% (4.792% APR), the monthly payment will be $521.65. Sample payment includes principal and interest only; taxes and insurance will increase your payment. The rate you pay is based on credit history and term. Loans exceeding 80% of the appraised value of the home require private mortgage insurance. Programs, rates, terms, and conditions are subject to change without notice at any time. Savings account required for loan. Only a $5 minimum deposit required to open account and become a Launch FCU member. Submit this flier when applying for a qualifying Launch FCU real estate loan and Launch FCU will waive the $400 processing fee; this offer is good July 1 - September 30, 2018. Cannot be combined with any other offer.